Topic of the Week: What do you look for in a remastered game? 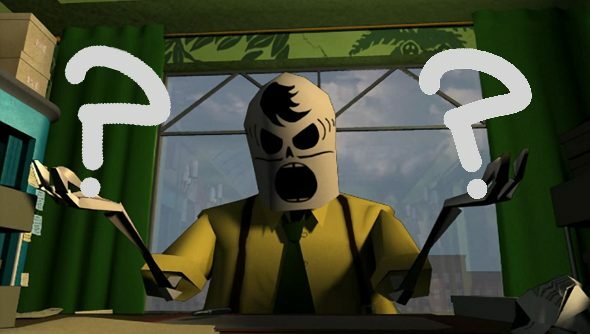 Grim Fandango Remastered was released today, and it looks like a Fahrenheit HD makeover is on its way too. So why don’t we have a wee blether about fancy HD remasters. Hell, let’s make it our Topic of the Week. What do you look for in a remastered game? Do you want it to just look a little prettier, but otherwise stay absolutely faithful to the original, or are you looking for new content or twists on already existing features? Or do you only want to play remastered versions of games you’ve never played before? Let us know in the comments. I have a simple desire: all I want is for remastered games to give me a reason to play them again, and that usually doesn’t mean fancier textures or HBAO. Grim Fandango, for example, is hard to come by these days. Until the remastered version came out today, there wasn’t a digital version. So this is, for most people, the only way to play the game. That’s a pretty good reason for it to exist. Really, though, it depends on the game in question. I’m not sure if I’d really want more puzzles and new characters in Grim Fandango, but with Baldur’s Gate Remastered and its sequel, the new quests and fresh faced travelling companions were highlights of the new versions, expanding the games without ever feeling awkward. That’s a reason to replay it, but it’s not a rule that extends to every game. Sometimes all that it takes to get me excited about a remaster is a single impressive feature. I bought GTA V again just for the first-person mode. I don’t really care about replaying the story, or playing GTA Online with a new crowd – I just wanted to experience it all from a different perspective. Anyway, that’s enough from me. What about you lovely folks? What do you look for in a remastered game?